The original US cover also appeared on the Spanish and German editions. The red dragon is posed like Mona Lisa, and she has great hands. 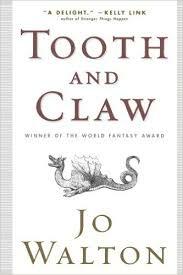 I think this cover does very well at conveying that it’s a book about dragons that are people without being humans. The next cover was the Chinese one — this was my first foreign sale, and I was very excited about it. 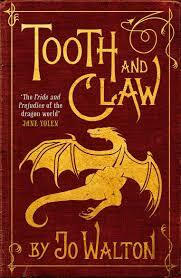 I loved the cover, which was clearly drawn by somebody who knows what dragon ears are supposed to look like. This is an Asian person drawing a Western dragon, but using their own natural conventions about things like the ears. Also, it’s adorable. 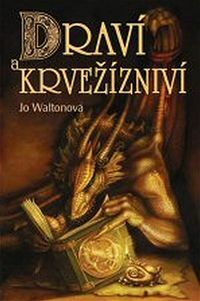 The Czech cover is the best. Everything is the way I describe it, the bound wings, the little light, so it’s an accurate illustration and it’s also a terrific cover. This is not just my favourite cover for this book, it’s probably the favourite cover I’ve had on any book. I even tried unsuccessfully to buy a print. The UK cover is great, and it was the first time any publisher consulted with me about a cover. They had various options for backgrounds, and I liked this one best, and they used it. This is a striking cover, and again I think it does very well at conveying something about the book. The Orb paperback reissue was trying to be subtle and elegant and minimalist like the Jonathan Strange and Mr Norell cover, tried a bit too hard and crossed the line into being dull. Oh well. 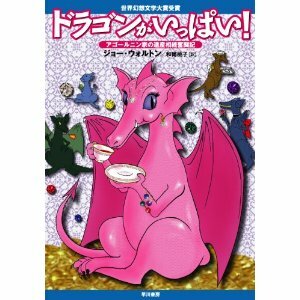 The Japanese paperback — it’s so Japanese and so great! The title translates as “Full of Dragons”. There was a sober Japanese hardcover with the US cover, I signed it for somebody at a con once, but this paperback is unconditionally fun and I love it.